For this holiday season, here’s our roundup of air- and space-themed books for children and young adults, all published in 2012. The subjects include everything from fantastical flying dinosaurs to the first lunar landing to young British spies during World War II. The age categories at the end are suggested by the publishers, but the reading level of the individual child should be taken into account. By Deb Lund, illustrated by Howard Fine. Harcourt, 2012. 40 pp., $16.99. 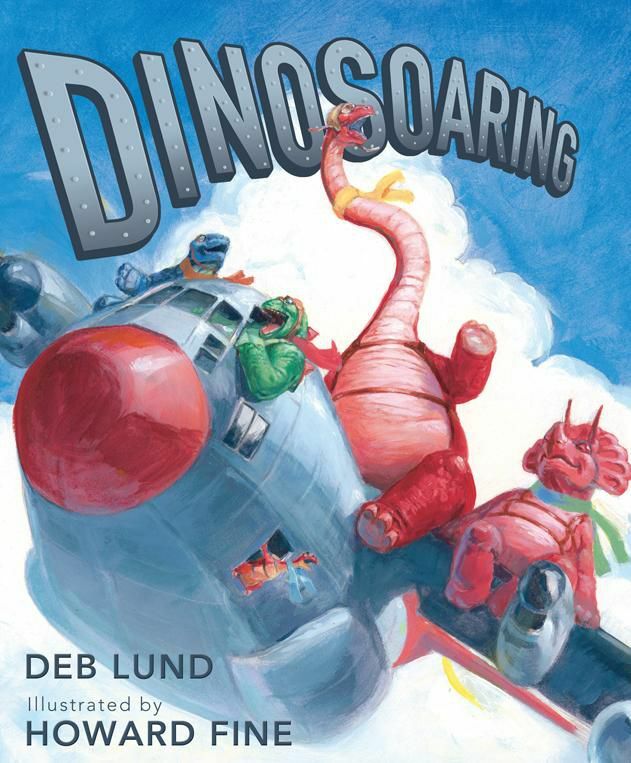 Everyone’s favorite Dinocrew takes to the skies (after conquering land and sea in All Aboard the Dinotrain and Dinosailors) in a delightful airshow adventure. Gouache and watercolor illustrations compliment the clever text: The other airplanes give them room, / And dino showoffs zip and zoom. / Their moves are quick, exquisite, tight. / "We’re like the dinobrothers Wright!" Our favorite title for the youngest readers. Ages 4–8.